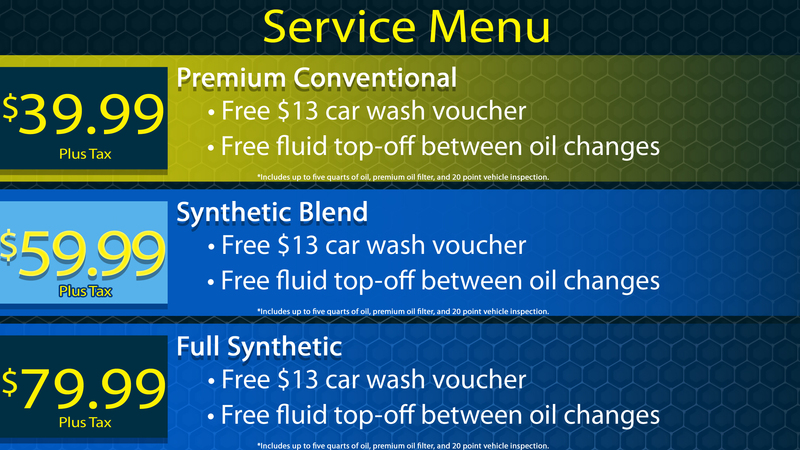 When you bring your vehicle to a Valvoline Express Care you can be sure of one thing – quick and easy service that keeps your car running at top performance. Our expert technicians will not only change your oil and filter, we’ll also top off critical fluids and perform a vehicle inspection to help keep you safe on the road. We recommend an oil change and maintenance check every 3 months or 3,000 miles, whichever comes first. 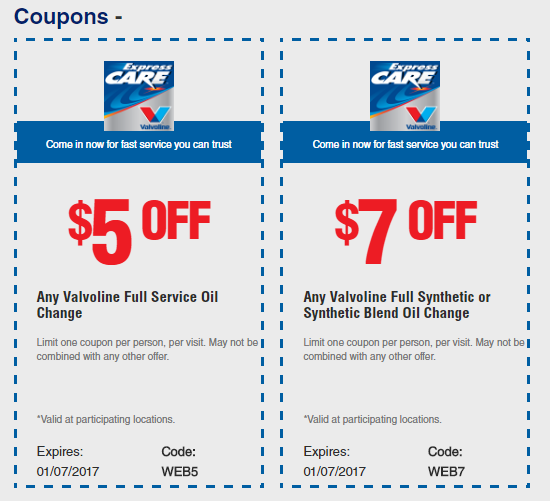 A full-service oil change from your Valvoline Express Care center includes up to 5 quarts of Valvoline® Oil, a new Valvoline oil filter, and vehicle lubrication of chassis components according to manufacturer’s specifications. Some vehicles do not require chassis lubrication. We also offer Air and Cabin air filter replacement, Vehicle Light Replacement, Wiper Blade Replacement, Battery Replacement, and Fuel System Cleaning.